As a nutrition geek, I love walking into a Starbucks and seeing nutritional information on display. 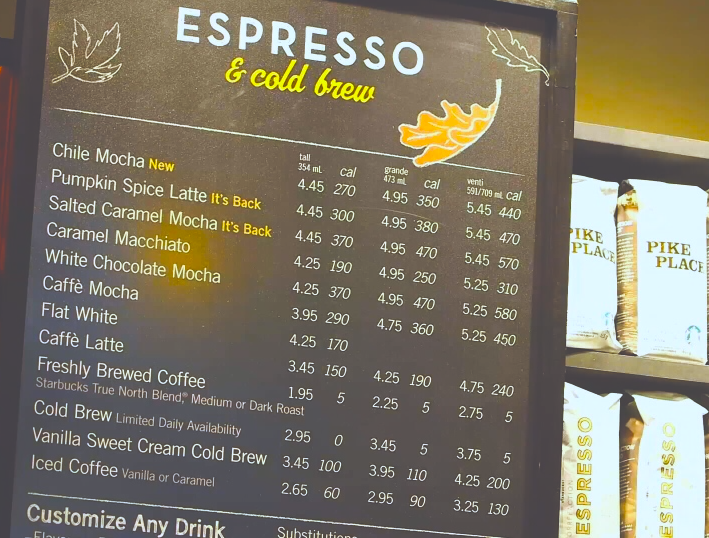 Yet, when I asked a barista whether or not this information influenced her customers’ choices, she replied “I don’t think so, we are still cranking out the frappuccinos.”. I encourage everyone to take these two powerful steps towards making healthier choices. They may seem daunting, but are easier than you may think, and are an investment well worth making. Perhaps the single most impactful thing you can do to boost your food IQ is to get to know your nutrient targets. The answers will be different for you, your spouse, and your children. Food labels attempt to address this by providing not only absolute amounts of nutrients but also the %RDA (percent of your Recommended Daily Allowance) for some nutrients. However, the %RDA is only accurate when your needs match those of the average person. For example, the calorie RDA is based on an ‘average’ daily target of 2,000 calories (for an adult man-woman hybrid!). In reality, a small woman could need as few as 1,500 calories and a large, active man may need 3,000 calories. It’s worth doing some digging to get to know your target so you can make your own calculations. When it comes to children, all bets are off when it comes to using the adult %RDA. The nutritional needs of children are distinct from those of adults and change from year-to-year. Each nutrient needs to be examined separately for each age. To educate yourself on your targets, try starting with your national guidelines. While these are imperfect, and can be cumbersome to navigate, they provide a valuable rough guide. When you get super geeky, like yours truly, you can begin to dig deeper into the nutrients that interest you using other sources. Navigating the cereal isle isn’t easy! I encourage everyone to make a habit of pausing to read labels. It can be very illuminating if you know what to make of them, and can help you fall prey to clever marketing strategies. Trick 1: The selective marquee. Food manufacturers are excellent at highlighting ‘hot’ nutrients while brushing under the carpet those that are not so desirable. Which is healthier? Original Cheerios or Multigrain Cheerios. depends on which side of the box you look at! Consider shopping for Cheerios. 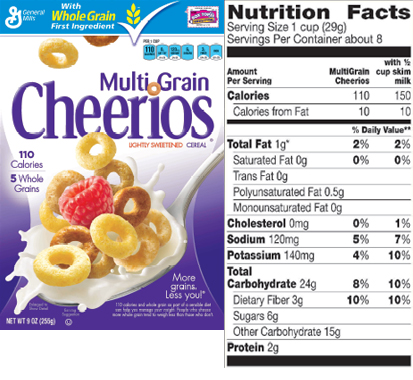 Based on the front of the box, one could easily assume that Multigrain Cheerios are a healthier choice than Original Cheerios. However, the opposite is true. 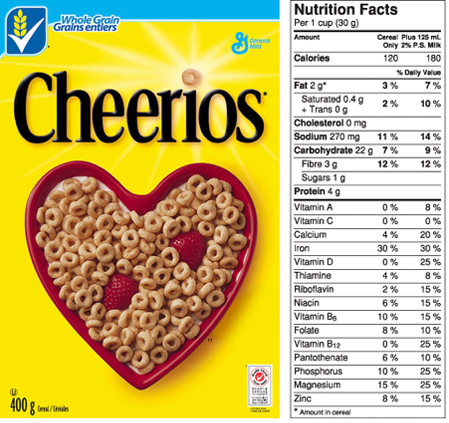 Original Cheerios have just as much fiber (3 grams) but far less sugar per serving (1 gram versus 6 grams). This is reflected in their superior carbohydrate to fiber ratio (read more about this here). It’s all too common for a product to provide nutritional information for a much smaller serving than what we normally consume. Consider this pre-packaged Naked Smoothie. 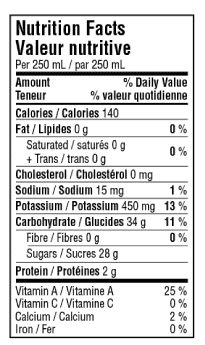 In Canada, the label reads 140 calories and 28 grams of sugar per ‘serving’. Yet, a serving is 250 ml, whereas the bottle has 450 ml — which suggests that the bottle has 1.8 ‘servings’. The full bottle contains 270 calories (140 x 1.8) and 50 grams of sugar (28 x 1.8). Fiber is easy: zero x 1.8 is still zero! Thankfully, within a few years, this trick should be ancient history. 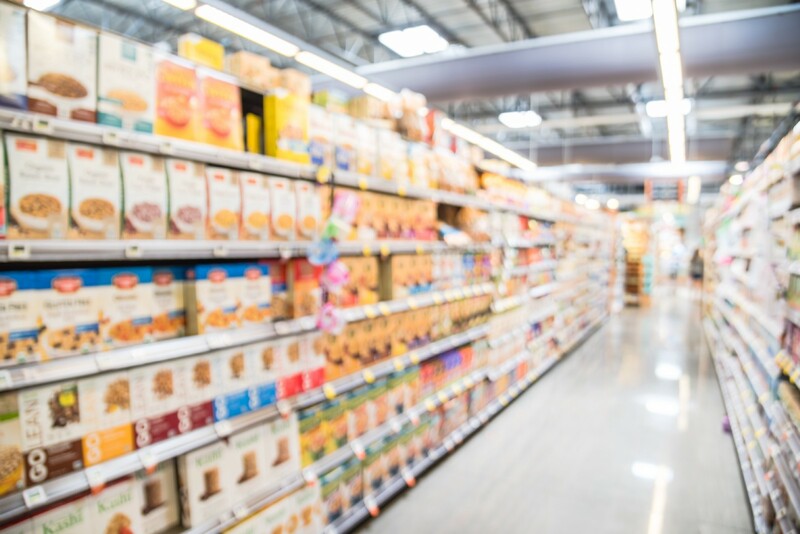 Updated labeling requirements, rolled out in some places already, require more reasonable serving sizes as well as standardization among similar products. The label on the pictured bottle reflects this mandatory change, which has not taken effect in Canada. The change mandates manufacturers to give information for the full bottle in products that are clearly intended as single servings (see the 270 calories in bottom right). To learn about nutrition label regulations and brush up on nutrition label literacy, see the Appendix. Nutritional tracking apps are fabulous tools for boosting your food IQ. They not only give you information on foods that don’t come with a label (such as when dining out), but also make it easy to keep a daily tally, and analyze your week or day for nutrient gaps. 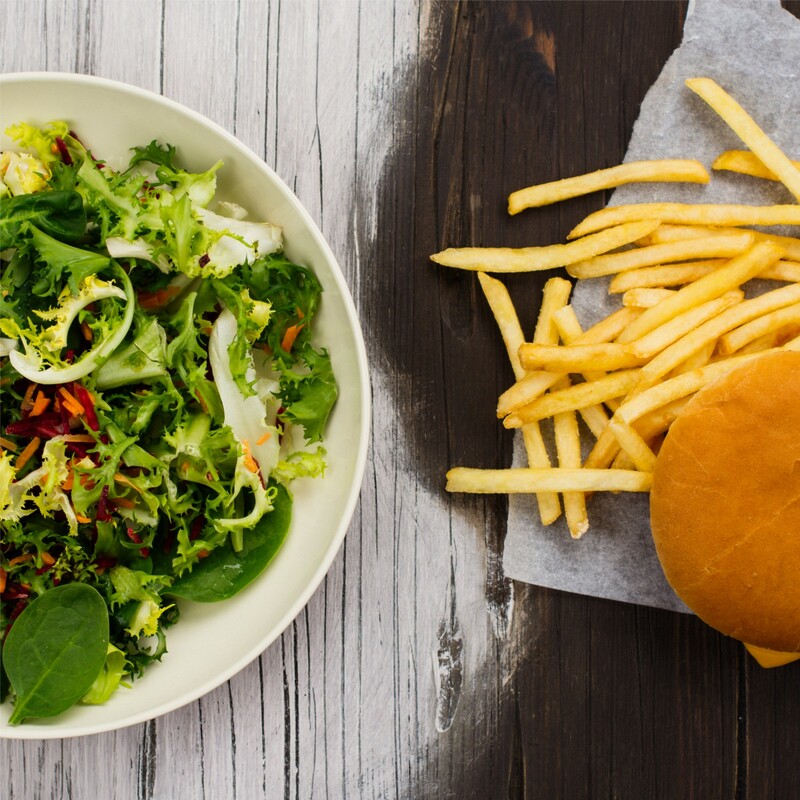 Chain restaurants are required to provide nutritional information, which you can get in person or through an app. For non-chain restaurants, simply look for a similar dish at a chain restaurant. 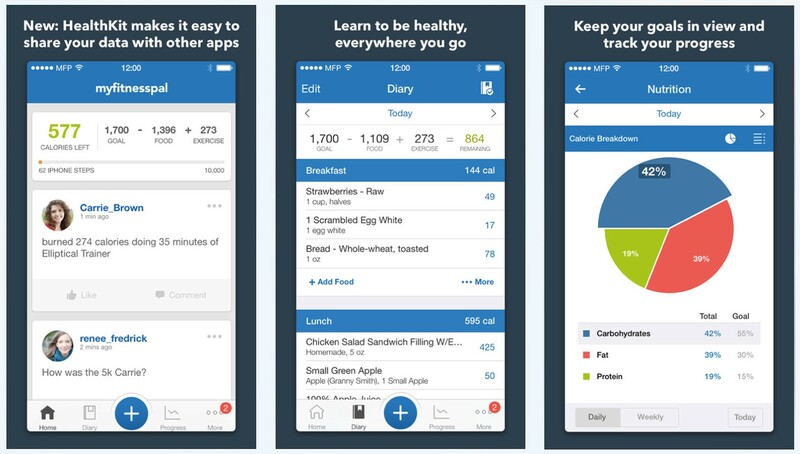 My favourite nutrition tracking app is My Fitness Pal, because of its large database and ease of use. It shows you not only grams but percent of calories from each macronutrient (fat, protein, carbohydrates). Look for entries that are validated (check mark) and complete. Tip: Don’t be shy about DIY! Entering and saving your own recipes is easy. As a health writer, this article is somewhat ironic, because most of the healthiest foods don’t come with nutrition labels. If we followed the classic advice to “eat real food, not too much”, and to “eat the rainbow”, there is a good chance we would meet our nutritional goals without trying. Unfortunately, many of us live with practical constraints that make this challenging. We may find ourselves, all too often, debating the indulgences at Starbucks, or staring at the dazzling selection of breakfast cereals, trying to find one that our kids will eat, but isn’t essentially a large box of candy. Having imperfect choices shouldn’t stop you from making your best possible choice.